Going to Memphis to cheer on the Stanford Cardinal in the “Sweet Sixteen” round of the Men’s NCAA Basketball Tournament? 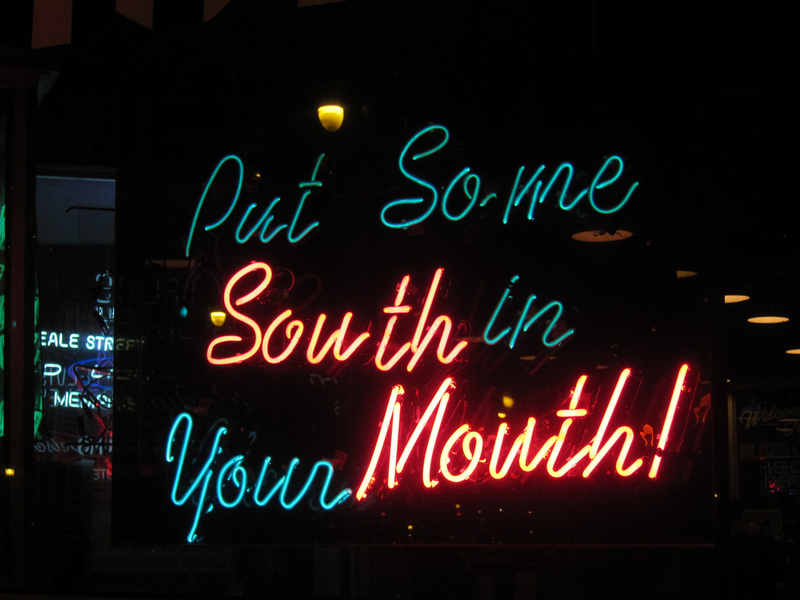 As a certified barbecue judge, author of a book on the history of soul food, and most importantly, a Stanford alum, I felt obligated to share with you a short list of some great Memphis spots. To help create this essential dining guide, I enlisted my buddy and fellow Stanford alum Chris Chamberlain (’89) who wrote The Southern Foodie: 100 Places to Eat in the South Before You Die (and the Recipes That Made Them Famous). By the way, you have our permission to cheer on the Stanford Cardinal with your mouth full! In a crowded barbecue field, Central BBQ remains a consistent standout. Definitely grub on some killer smoked chicken wings or pork spareribs. Several locations but the downtown spot is 147 E. Butler Ave. Memphis, TN, (901) 672-7760, www.cbqmemphis.com. Cozy Corner‘s Desiree Robinson is the matriarch of this standard that still uses aquarium smokers which are rarely seen south of Chicago. Try her BBQ quail for a unique treat. They close fairly early, so you’ll have to visit this place for lunch. 2265 S. 3rd St, Memphis, TN 38109, (901) 775-2304, www.cozycornerbbq.com. Jim Neely’s Interstate Barbecue is the only Neely’s restaurant left in town, and it’s not the side of the family who left Memphis for the Food Network. 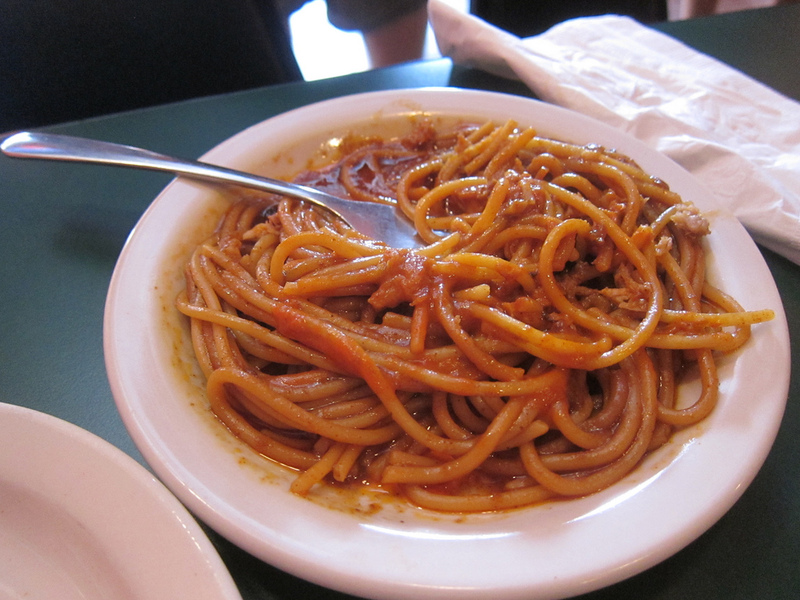 Expand your culinary horizons (and waistline) with a heaping plate of their BBQ spaghetti. 2265 S. 3rd St, Memphis, TN 38109, (901) 775-2304, www.interstatebarbecue.com. 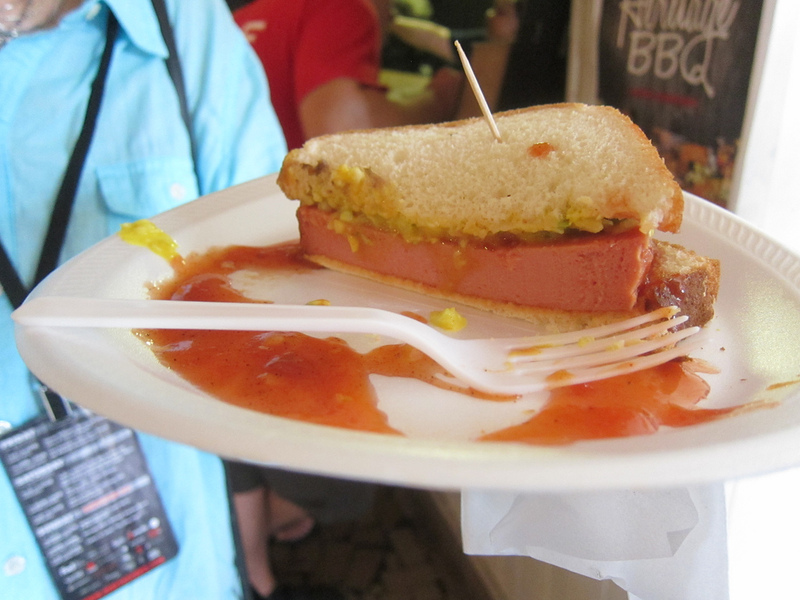 Payne’s is a place where the barbecue pork sandwich nears its Platonic ideal. After you place your order, enjoy the perfect soundtrack of smoky goodness getting rhythmically chopped. Feeling adventurous? Try the smoked bologna sandwich. 1762 Lamar Ave, Memphis, TN 38114, (901) 272-1523. No website. Charlie Vergos’ Rendezvous Restaurant is the Mecca for devotees of the sauceless, heavily seasoned “dry ribs” approach. 52 S. Second Street, Memphis, TN 38103, (901) 523-2746, www.hogsfly.com. Smoked Bologna sandwich at Payne’s. Wally Joe grew up in Mississippi, the son of Chinese immigrants. His take on international and Southern fusion food at Acre is really remarkable. We recommend trying the Hazelnut Fed Pork Brisket Sprouted Rye “Risotto”, or the Hon-Shimeji Mushrooms & Miso-Mustard Sauce. 690 S. Perkins Rd, Memphis, TN 38117, (901) 818-2273, www.acrememphis.com. Alcenia’s, with its vibrant décor, may be the most colorful place to dine in Memphis. Owner B.J. Chester-Tamayo makes you feel right at home, and a lot of the southern classics on her menu are pork-free. Try the fried catfish and the super-sweet rendition of a childhood favorite that she calls “Ghetto Aid.” 317 N. Main St, Memphis, TN 38103, (901) 523-0200, www.alcenias.com. If you’re still out after midnight celebrating or commiserating after Stanford’s game, get to Ernestine and Hazel’s for their famous “Soul Burger.” The former brothel is supposedly extremely haunted, so that’s why they turn up the jukebox. 531 S Main St, Memphis, TN 38103, (901) 523-9754. No website. This sign at Gus’s says it all! 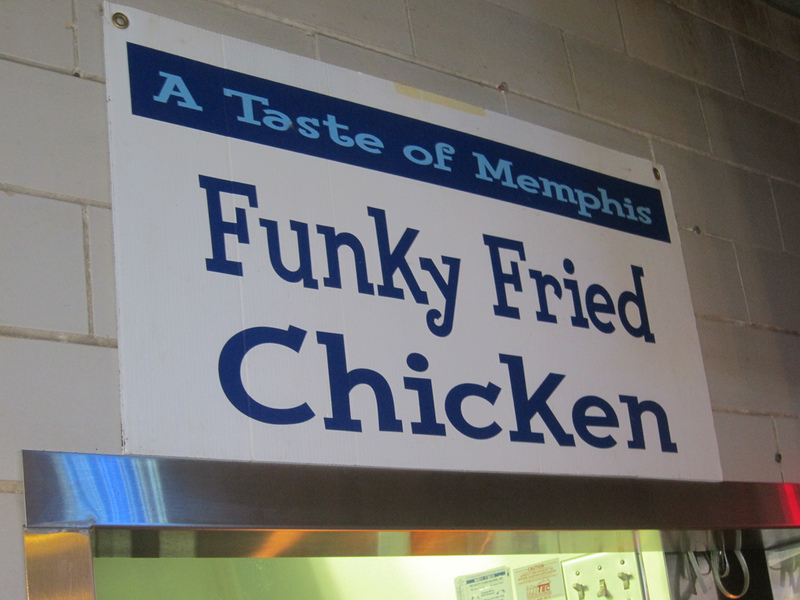 Of course, Gus’s World Famous Fried Chicken near downtown is on every eat-inerary for Memphis visitors. And for good reason because the perfectly fried, fiery fowl is exemplary! If you’re driving in from the East on I-40, though, go to the original location in Mason, TN. It’s even better! Several locations and the closest to downtown is 310 South Front Street Memphis, TN 38103, (901) 527-4877, www.gusfriedchicken.com. Restaurant Iris Chef Kelly English cooked for Chef John Besh, famously of New Orleans, and has brought a taste of Creole to Memphis, combined with his own Mississippi roots. For a more casual environment, grab a Po’ Boy sandwich at his new restaurant next door, the Second Line. 2146 Monroe Avenue, Memphis, TN 38104, (901) 590-2828, www.restaurantiris.com. River Oaks Chef Jose Gutierrez studied under Paul Bocuse and led the kitchen at Chez Phillipe in the Peabody Hotel for decades. Now he cooks his version of southern food with French techniques at his own restaurant. 5871 Poplar Ave, Memphis, TN 38119, (901) 683-9305, www.riveroaksrestaurant.com. Two of the best young talents to come out of Chez Philippe are Andy Ticer and Michael Hudman. Their twin restaurants Andrew Michael Italian Kitchen and Hog & Hominy are right across the street from one another. 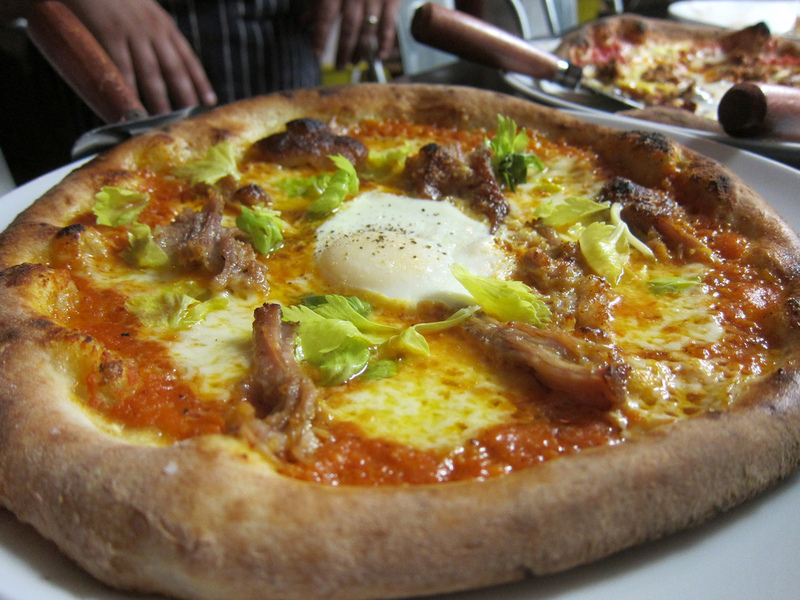 Expect unbelievable Italian cuisine at the former and upscale Southern fare at the latter. And both spots serve amazing cocktails. 712 W. Brookhaven Circle, Memphis, TN 38117, (901) 347-3569, www.andrewmichaelitaliankitchen.com, 707 W Brookhaven Cir, Memphis, TN 38117, (901) 207-7396, www.hogandhominy.com. Soulfully yours . . . and Go Cardinal!! Adrian is the author of Soul Food: The Surprising Story of an American Cuisine, One Plate at a Time. Soul Food has been nominated for a 2014 James Beard Foundation Book Award for Reference and Scholarship.